Here’s a tutorial that doesn’t require a kiln or a torch or any of the usual tools and equipment we need for our various glass adventures. This is a faux mercury glass tutorial that I found over at Take the Side Street, a blog about design and other fun stuff. 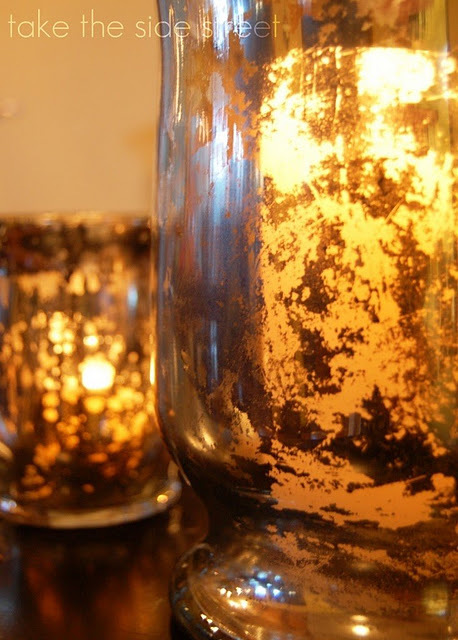 Anna, the owner of this blog is using special spray paint and glass vases to create a very cool decorative item that’s great for the holidays. She takes you through the steps including the distressing of the finish. This is a tutorial for all glass enthusiasts! Enjoy! !